Thank you to everyone who joined us on Linus Pauling Day. Support the Pauling legacy at Oregon State University. Why donate to the Linus Pauling Institute? Brian is currently the Mark Sponenburgh Endowed Graduate Fellow through the LPI. Brian is in a Ph.D. program under the guidance of Dr. Maret Traber. 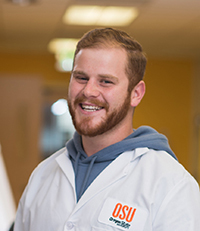 His current project focuses on vitamin E deficiency in zebrafish, especially how vitamin E can play a role in preventing neurodegenerative disorders like Alzheimer’s disease. Isabelle is the current Audrey and George Varseveld LPI Graduate Fellow. She works in the laboratory of Dr. Adrian Gombart, studying xanthohumol and its derivatives as potential anticancer agents. 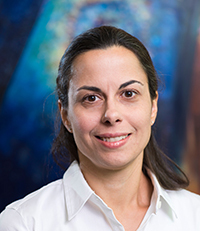 She is also working to establish animal models to test the effects of xanthohumol on the gut microbiome and inflammation. Yang is currently supported by the Marion T. Tsefalas Graduate Fellowship through the LPI. 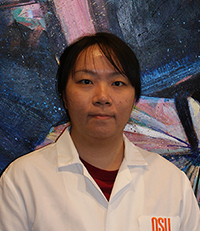 Yang is currently in a Ph.D. program under the guidance of Dr. Adrian Gombart. Her project focuses on the combination of xanthohumol with vitamin D in immune health. She is currently testing ‘nanofiber’ bandages that contain both of these compounds to improve wound healing and reduce post-surgical infections. 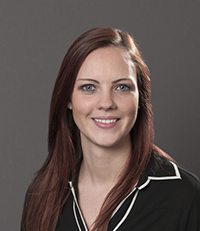 Emily is the Balz Frei Graduate Student Fellow at the Linus Pauling Institute. Emily works in the van Breemen laboratory learning how the latest analytical techniques can be used to develop a scientific basis to evaluate the effects of natural alternatives or traditional medicines. 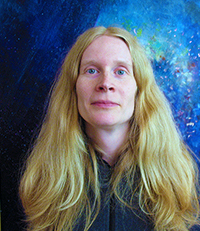 Emily will be featured in the Spring/Summer 2019 Linus Pauling Institute Research Newsletter. Victoria is the head of the Micronutrient Information Center, one of the outreach programs at the LPI. Since its debut in 2000, the Micronutrient Information Center has been the Institute’s flagship outreach medium: an open-access, online database of evidence-based information on the roles of vitamins, minerals, and other dietary factors in promoting health and preventing disease. Thanks to champions like you, the LPI has studied the ways that vitamins, minerals, and phytochemicals help people around the world achieve optimum health for the past 46 years. We hope that you will make a generous gift to keep our progress moving forward. A gift today of $5, $20, or $100, will mean much more when it is measured in good health. How can you help support the Linus Pauling Institute? Get the word out. Join us on Facebook and Twitter. Sign up for research updates. Our email or print newsletters keep you informed of our progress. Send us a message. Let us know what Linus Pauling means to you.